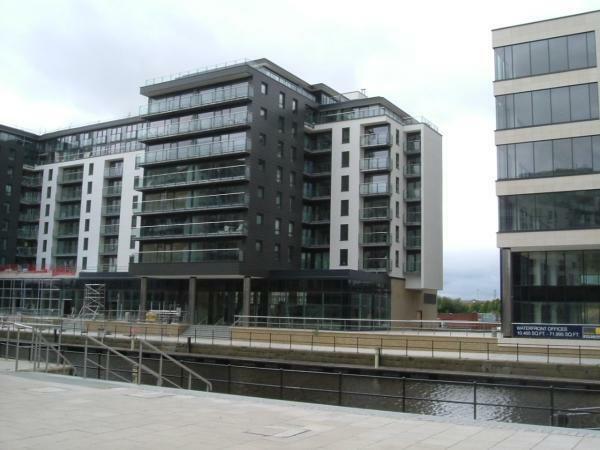 The La Salle apartment block sits on the west side of Clarence Dock and its appearance is decidedly modern. With a slate grey steel body and a glass-covered countenance this building is certainly one of the city s more contemporary structures. The polished steel pillars outside the entrance of La Salle have a strange novelty factor about them. Because they support the wide glass balconies above you feel as though you are somehow too far in front of the building whilst looking down at the water below.